Gloss Black Four Way Stretch Vinyl. Gloss White Four Way Stretch Vinyl. Gloss Red Four Way Stretch Vinyl. Gloss Purple Four Way Stretch Vinyl. Gloss Fuchsia Four Way Stretch Vinyl. Gloss Neon Pink Four Way Stretch Vinyl. Gloss Turquoise Four Way Stretch Vinyl. Gloss Royal Blue Four Way Stretch Vinyl. Gloss Navy Blue Four Way Stretch Vinyl. Gloss Light Pink Four Way Stretch Vinyl. Matte Black (no shine) Four Way Stretch Vinyl. Looks and feels like leather or rubber. Matte White (no shine) Four Way Stretch Vinyl. Black 3-D Prism Four Way Stretch Vinyl. Light shines from every direction. Gold Metallic Foil coated Spandex. Silver Metallic Foil coated Spandex. Copper Metallic Foil coated Spandex. Gunmetal Metallic Foil coated Spandex. Turquoise Metallic Foil coated Spandex. Royal Blue Metallic Foil coated Spandex. Red Metallic Foil coated Spandex. Fuchsia Metallic Foil coated Spandex. Purple Metallic Foil coated Spandex. Green Metallic Foil coated Spandex. Black Metallic Foil coated Spandex. Tiny glittering metallic dots on Spandex. Baby Pink Metallic Mystique Spandex. Baby Blue Metallic Mystique Spandex. Steel Gray Milliskin Tricot Spandex. Royal Blue Milliskin Tricot Spandex. Navy Blue Milliskin Tricot Spandex. Sky Blue Milliskin Tricot Spandex. Hunter (Dark) Green Milliskin Tricot Spandex. Neon Green Milliskin Tricot Spandex. Neon Pink Milliskin Tricot Spandex. Baby Pink Milliskin Tricot Spandex. Athletic Gold Milliskin Tricot Spandex. Neon Orange Milliskin Tricot Spandex. 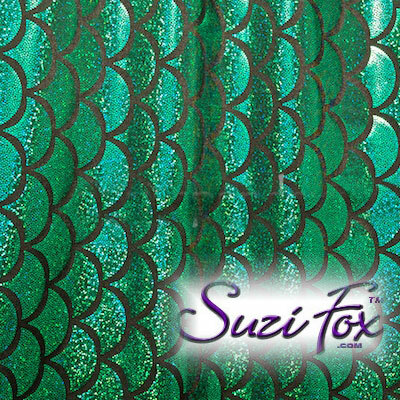 Fish Scale - Metallic green and black large scales.